Season 2 covers the Long Peace and the breaking of the Siege of Angband, from the beginning of the First Age to Year 456. There are a few time skips of several hundred years. This season sees the Dagor Aglareb, construction of Gondolin and Nargothrond, the coming of Men and the Dagor Bragollach. Elrond and his sons meet with Maglor again. This time he is in Eregion, Celebrimbor’s old kingdom. Maglor is convinced to tell Elrond’s sons about how Beleriand was overtaken by Morgoth. Maedhros hangs from Thangorodrim. Morgoth and Sauron both taunt and torment him. He refuses to give up secrets about the Noldor. Both Maedhros and Sauron see Thorondor from afar. Fingolfin begins building his kingdom, Hithlum. Believing Maedhros dead, Maglor and the Sons of Feanor prepare to leave Mithrim and go east. Fingolfin gives Fingon a domain in the west, Dor-lomin. Turgon struggles to get over his wife’s death, becoming protective of Idril. He blames Feanor and his sons for Elenwe’s death. 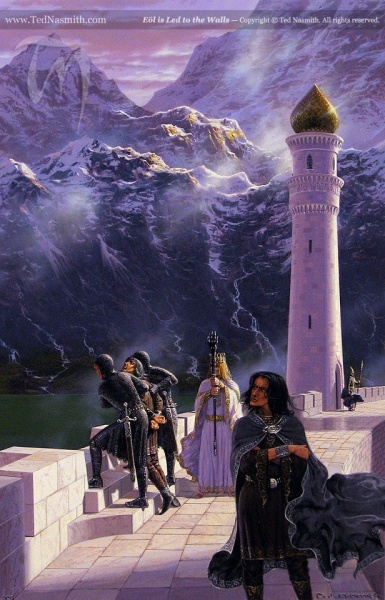 Thorondor arrives to inform Feanor’s sons of Maedhros’ imprisonment. Thingol welcomes Noldor ambassadors in his land, but refuses to give up land of Beleriand to them. Thingol’s daughter, Luthien, is curious about the Noldor. Thingol refuses to let her leave Doriath. Adapted from chapters ‘Of the Return of the Noldor’ and ‘Of Beleriand and its Realms’ from The Silmarillion. 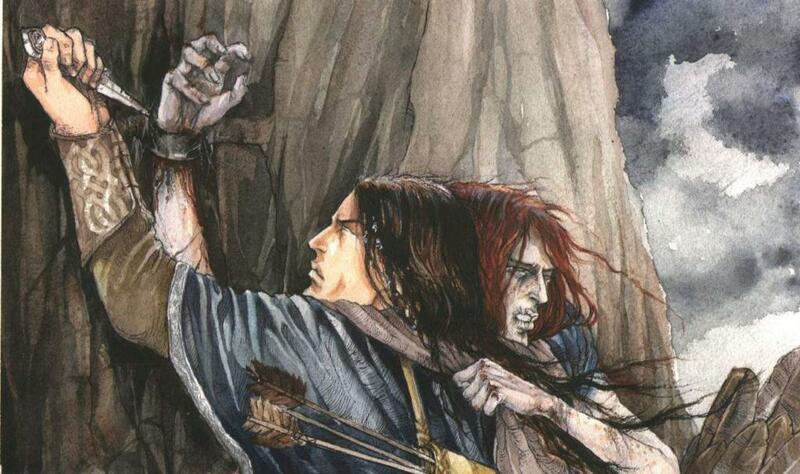 None of Feanor’s sons are prepared to rescue Maedhros from Thangorodrim. Out of love for his friend, Fingon volunteers to go instead. Thorondor flies Fingon to Angband, where they find Maedhros chained. Fingon has to climb the steep precipice to get to him. 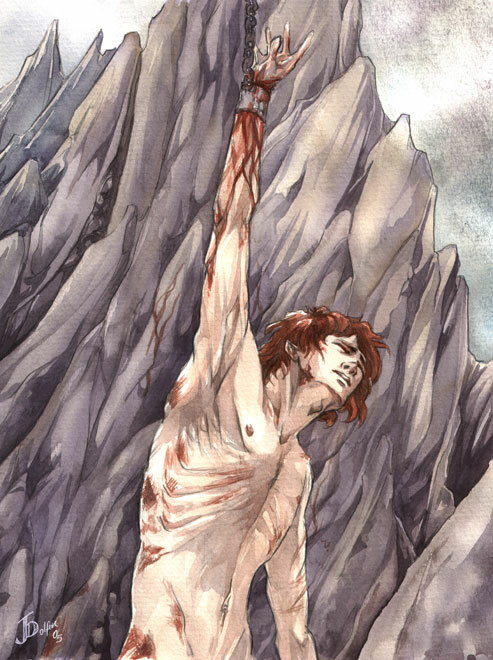 Unable to undo the chain, Fingon is forced to cut off Maedhros’ hand. Thorondor flies them back to Mithrim. Maedhros reunites with his brothers. 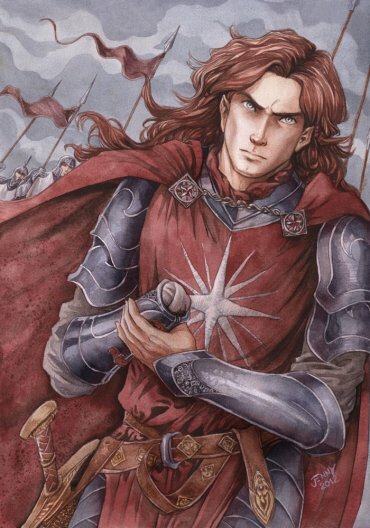 In gratitude and repentance for the burning of the ships, Maedhros relinquishes claim as the heir of Finwe and appoints Fingolfin High King of the Noldor. Caranthir and Feanor’s sons disagree with what Maedhros has done. Finrod travels to Doriath, to speak with Thingol personally. There he sees his sister, Galadriel, again. Fingolfin calls all the elves to reunite in one cause. Finrod and Thingol speak at length. Thingol gives permission for the Noldor to occupy the northern lands. They travel to the Feast of Reuniting together. 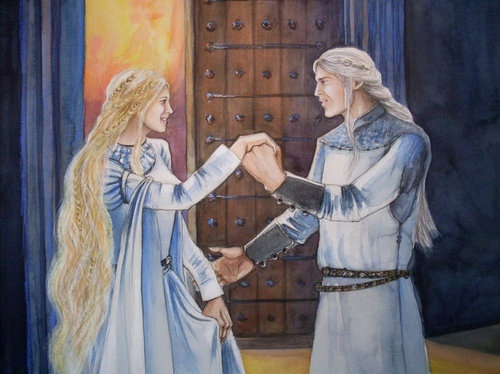 Finrod and Galadriel – ? They are both sent dreams by Ulmo of hidden sanctuaries. Tumladen and High Faroth. When they return to Vinyamar, Turgon goes to find Tumladen. Unable to find the place in his dreams, Turgon is visited directly by Ulmo, who guides him to Tumladen. Maedhros and his brothers hunt down the orcs that have penetrated Maglor’s Gap. Fingolfin prepares his army for war. He sends Finrod to Doriath once more to enlist the help of Thingol. 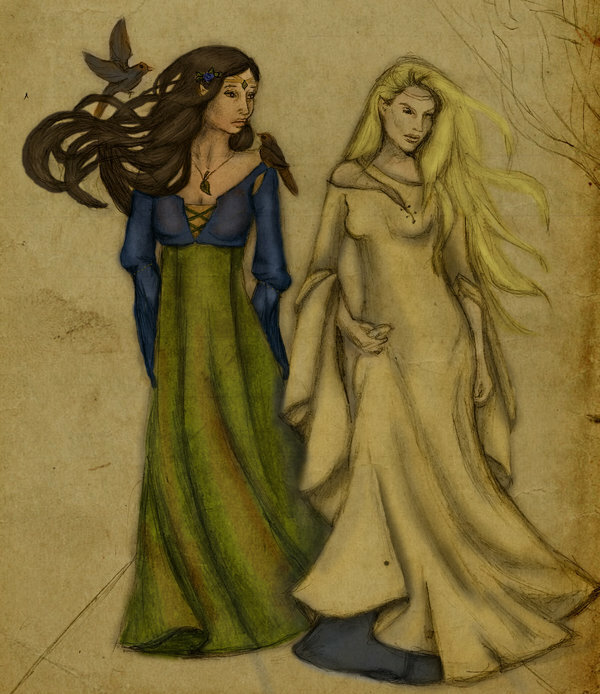 Melian befriends Galadriel. Galadriel tells of the tale of the Noldor, but leaves out the Kinslaying. Thingol hears rumours of Valinor. He asks Angrod about the events that led the Noldor to Middle-Earth. He learns of the Silmarils and of the Kinslaying at Aqualonde. Horrified, he bans Quenya in Beleriand and forbids any of the House of Feanor to enter Doriath. Adapted from chapters ‘Of the Return of the Noldor’, ‘Of Beleriand and Its Realms’ and ‘Of The Noldor in Beleriand’ from The Silmarillion. Finrod comes to Doriath once more. He asks Thingol for his help, but Thingol refuses to fight alongside the Sons of Feanor. Galadriel stays in Doriath. Angrod and Aegnor hold off the main host of Angband on the plains. Finrod returns to Hithlum. 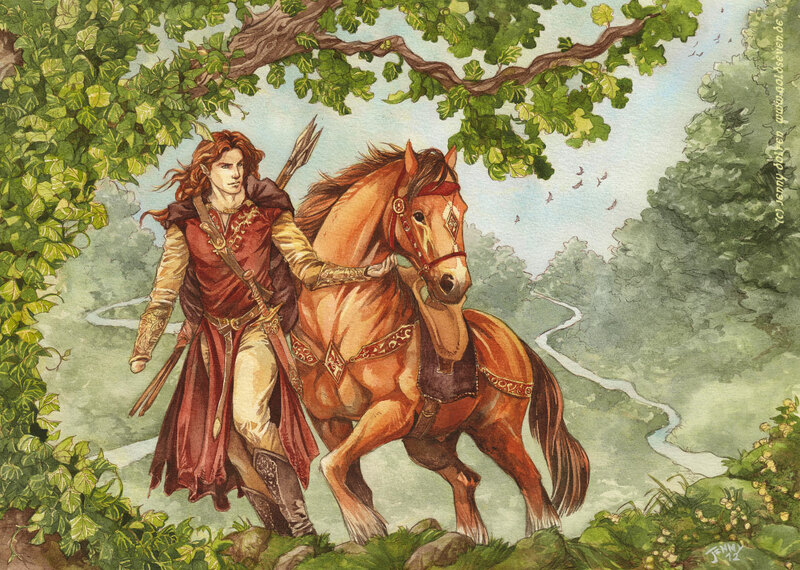 After learning of Thingol’s decision, Fingolfin rides out to meet Maedhros. Fingolfin and Maedhros plan a counter-attack. Fingolfin counter-attacks in the west, while Maedhros counter-attacks in the East. The two armies drive the orcs back to Thangorodrim, where they are destroyed. Fingolfin sets up the Siege of Angband, posting a watch on the fortress at all times. Fingon guards the north west, Orodreth the Pass of Sirion from Minas Tirith and Feanor’s sons in the East. Finrod comes to High Faroth, the location of his planned fortress. 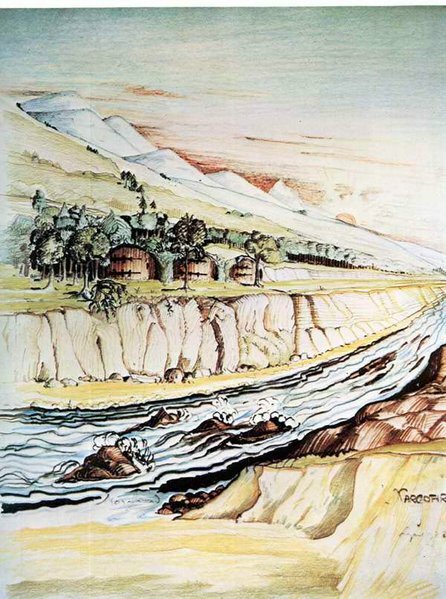 Turgon removes his people from Vinyamar to Tumladen. He leaves a sword, helm and mail there by Ulmo’s words. 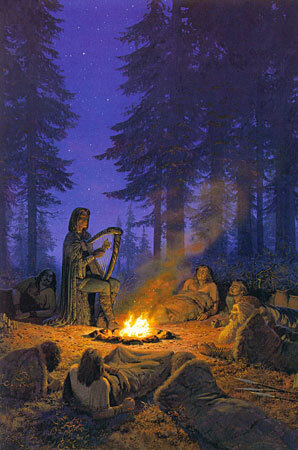 Eol, the Dark Elf, crafts a master sword, Anglachel, he gives to Thingol. After receiving little gratitude, he leaves the forest. Turgon welcomes his people to Gondolin. He has a private moment with his daughter dedicating the city to his late wife. Finrod continues construction of his fortress with help of the dwarves. Aredhel seeks permission to leave Gondolin. Turgon agrees only if she sees Fingon, but she disobeys. 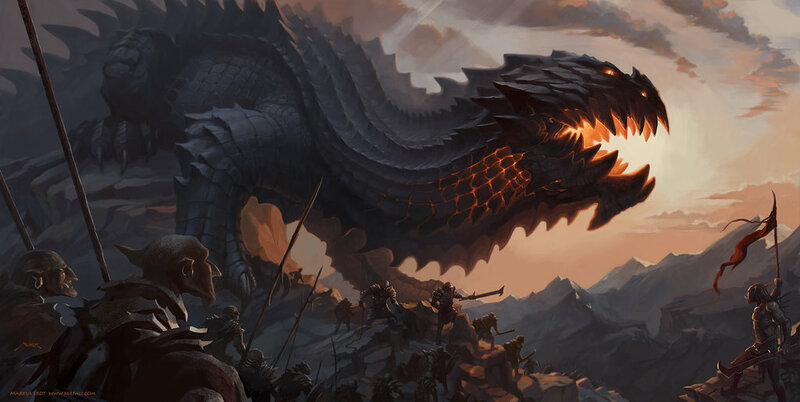 Glaurung, father of dragons, leads a host from Thangorodrim and pushes the Noldor from Ard-Galen. Eol feasts with the dwarves of the Blue Mountains. After the feast he returns to Nan Elmoth, where he comes across Aredhel, daughter of Fingolfin. Using his enchanting voice, he lures her deeper into the forest, where he ensnares her. Fingon rides against Glaurung with a company of mounted archers. The orcs are driven back, but Glaurung remains. 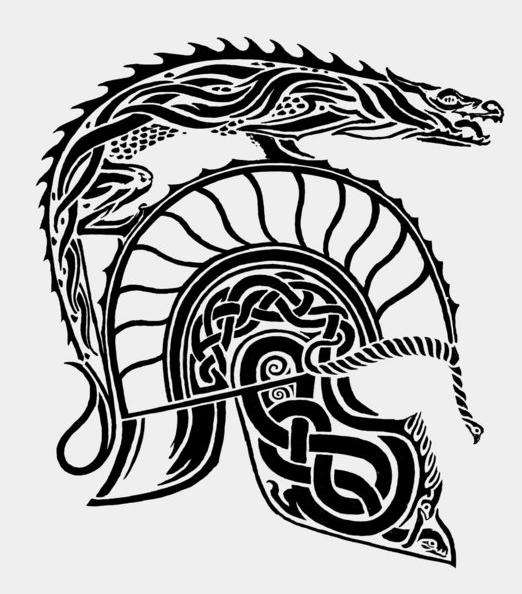 Fingon personally shoots Glaurung in the eye, causing him to retreat. Leaving the brothers, Finrod encounters men of the House of Beor. Welcoming them to Beleriand, he speaks with Beor the Old. Adapted from chapters ‘Of the Return of the Noldor’, ‘Of the Noldor in Beleriand’, ‘Of Maeglin’ and ‘Of the Coming of Men Into the West’ from The Silmarillion and ‘The Grey Annals’ from The War of the Jewels. Morgoth denounces Glaurung for his actions. He then talks with Sauron about how to break the siege. The Green-Elves of Ossiriand scuffle with the men of Beor. Unable to understand each other, they prepare to attack. Finrod steps in and talks down the Green-Elves. Finrod leads the men across Beleriand. 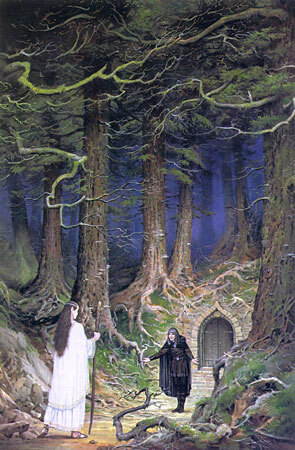 He speaks with Galadriel to allow them into Doriath to see Thingol. Thingol gives them permission to cross his lands. Aredhel bears Eol a son, Maeglin. She wishes to return with them to Gondolin, but he refuses. 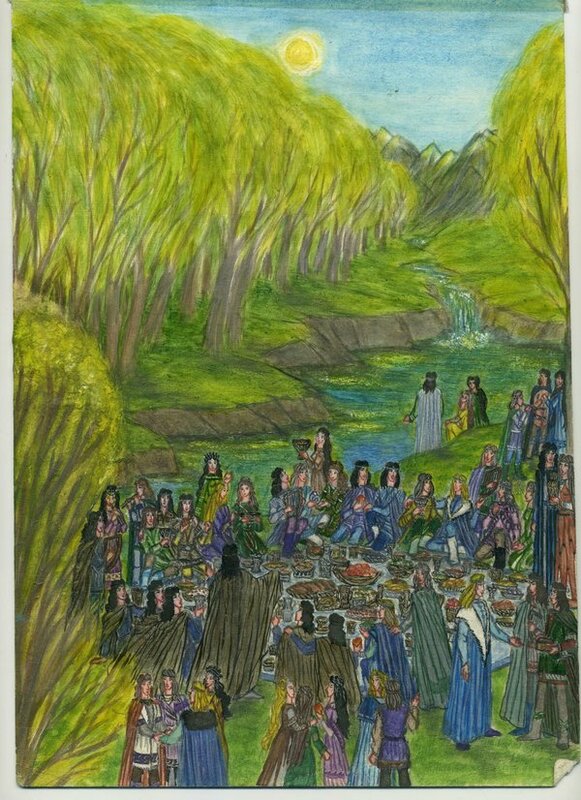 Finrod leads Beor and his followers to Estolad, where they settle. Beor leaves his men to visit the High King of the Noldor. Beor and Malach speak with Fingolfin. Finrod returns to Nargothrond. Beor wishes to remain in his service. Not long after returning to Nargothrond, Beor dies of old age. Eol finds Aredhel at the entrance to Gondolin and follows them. Eol reveals himself to Turgon. Turgon welcomes him as a kinsman. Eol wishes to leave, but Turgon tells him none who enter the Hidden City may leave. Eol is enraged by this, and he chooses death, for him and his son. He throws a poisoned dart at Maeglin, but it is caught by Aredhel. The poison pierces her skin and she is killed. 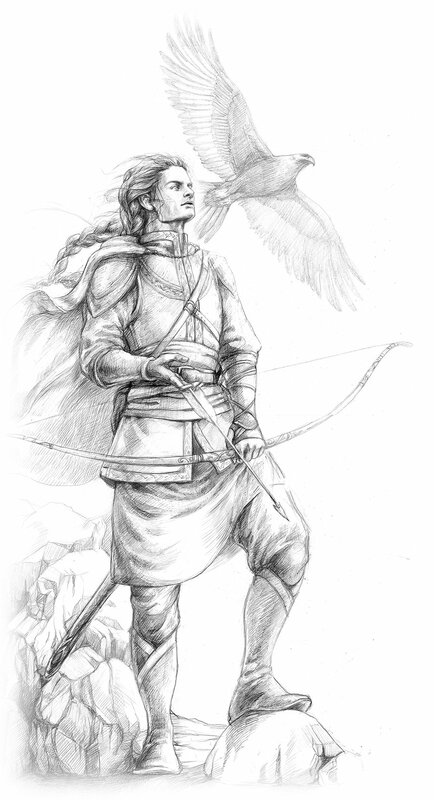 Turgon casts Eol from the walls of Gondolin. Adapted from chapters ‘Of Maeglin’ and ‘Of the Coming of Men Into the West’ from The Silmarillion and ‘The Later Quenta Silmarillion’ from The War of the Jewels. Maglor tells of the Long Peace and the years of Elves and Men. A hundred years pass and both races have learned to live peacefully. He tells of the House of Haladin, saved by Haleth, who led her people in repelling an orc siege until Caranthir arrived with reinforcements. He also tells of the settlements in Ladros and Dor-lomin, and the giving of the Dragon Helm to Hador from Fingon, and the arrival of the Easterlings over the Blue Mountains. Morgoth looks upon his forces gathered in the depths of Angband. He tells Gothmog it is time. Finrod and Aegnor visit Andreth of the House of Beor. Finrod talks to her for a time, but she leaves to see Aegnor, whom she loves. Aegnor however, despite reciprocating her affections, refuses her advances. Finrod meets with Barahir, descendent of Beor about the Siege. He inspects Barahir’s soldiers and meets his son, Beren. 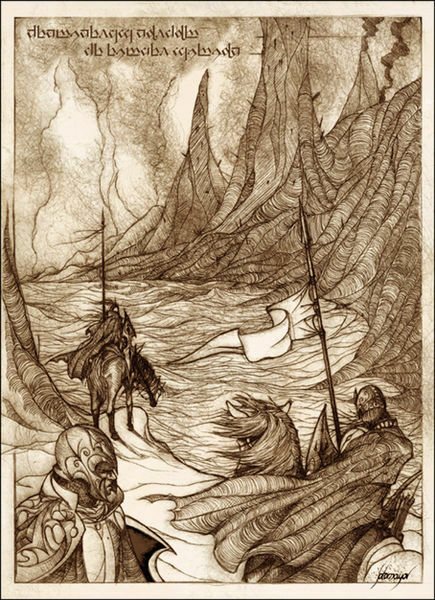 Fingon and his forces patrol Ard-Galen near Angband. Suddenly, rivers of flame spew forth from Thangorodrim. Forced to retreat, Fingon rides to warn his father. 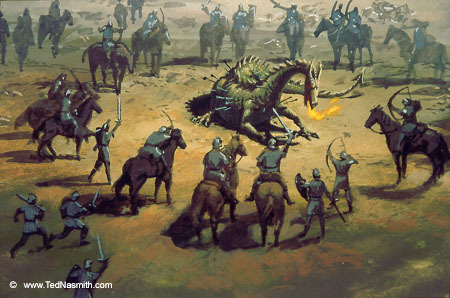 Glaurung leads an army of balrogs and orcs over the plains. Angrod and Aegnor ride before them with Bregolas and his men, but they are slain with their forces. Fingon’s riders reach Fingolfin in Barad Eithel. Fingolfin sends out riders to call his armies to battle. 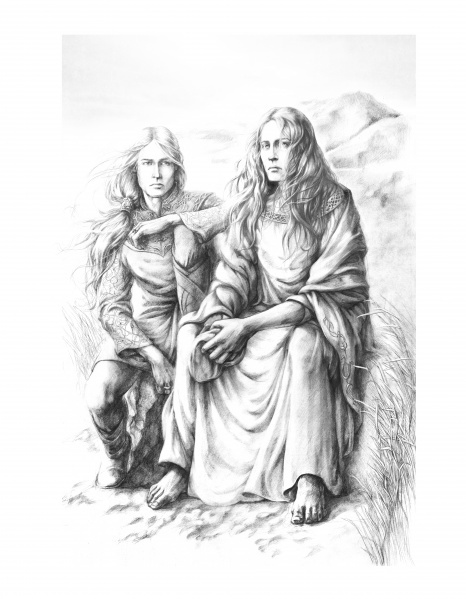 Gil-Galad is sent by his mother to Cirdan in the Falas. Soon after, Barad Eithel is besieged. Barahir commands his men to take their people and retreat south. He takes his best men and rides East. Maglor’s horsemen are burned alive. Maglor retreats to Himring. Morgoth’s forces enter Beleriand. The other sons of Feanor are defeated and driven back south of Doriath. Morgoth’s orcs control the north. They prepare further attacks and march on Minas Tirith. Adapted from chapters ‘Of Beleriand and Its Realms’, ‘Of the Coming of Men Into the West’ and ‘The Ruin of Beleriand and the Fall of Fingolfin’ from The Silmarillion and ‘The Grey Annals’ from The War of the Jewels.